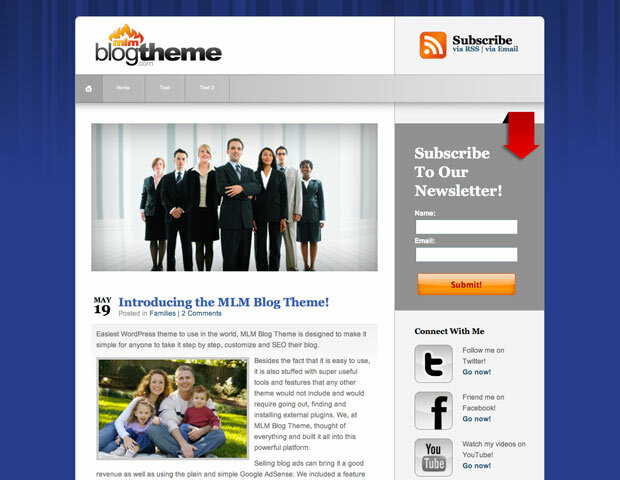 My good friend Ty Tribble and I created this theme for the MLM market, to help brand new as well as experienced bloggers get right to the blogging without having to deal with designing a custom theme or trying to gather all the plugins for it to make it work as it should. I built this theme to have the most important features built right into the theme. The MLM Blog Theme starts out as a regular looking blog but when you get into the admin side of things, you’ll find out that you can do amazing things right from there. I mean down to switching the sidebar from right to left side, changing the logo image and even to a text based logo if needed. Adding a subscription form, social links and all kinds of other features. They are all built in so not plugins needed to get it all set up. Oh, one more thing, I’ve also built in the SEO meta info settings for each and every page and post so you don’t have to settle for what WordPress inserts in there automatically. You can have a custom title and description for every post and page. 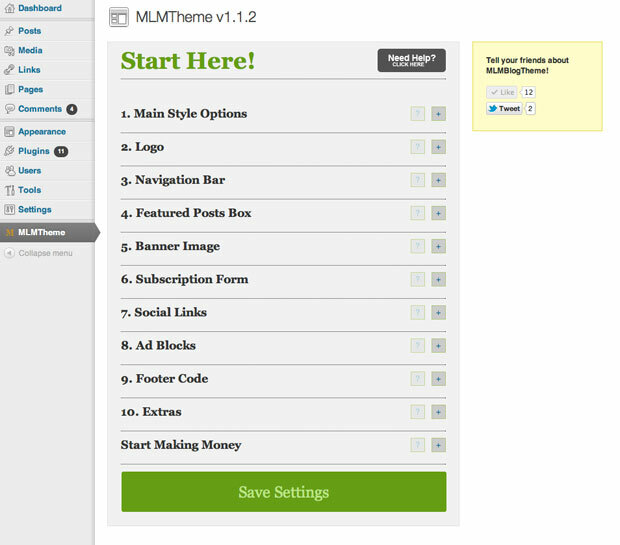 See this theme live at www.MLMBlogTheme.com. Let me know what you think.